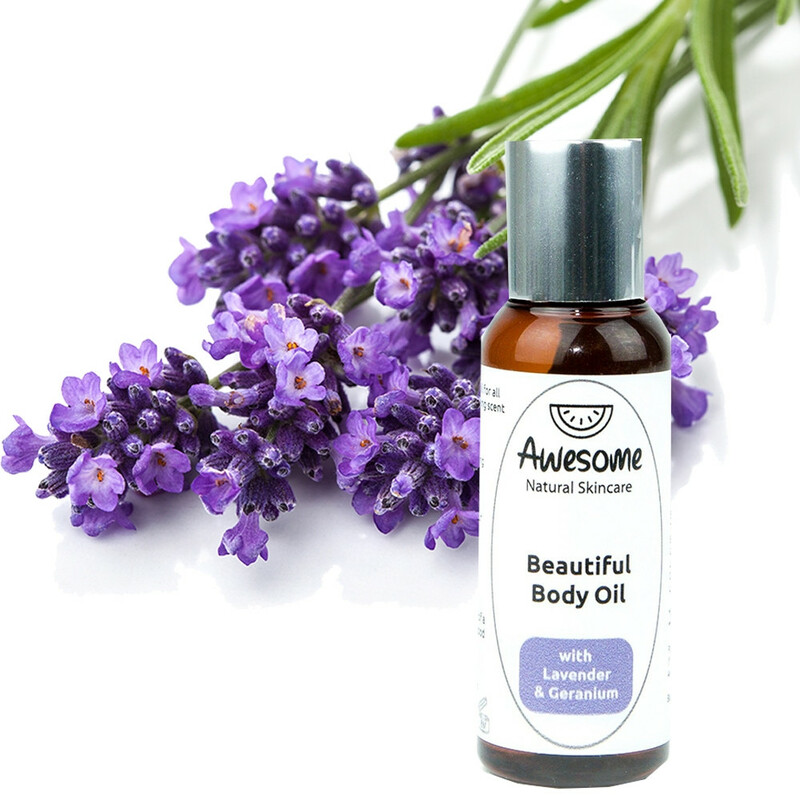 A rich, moisturising body oil, for all skin types, with the calming scent of Lavender & Geranium essential oils. This blend of amazing oils, herbs and botanical extracts is packed with essential fatty acids and antioxidants to leave your skin soft, healthy and glowing. Great as a dry leg oil or poured into a bath for a luxurious bath soak. Herbal infusion with: Calendula, antiseptic and antimicrobial , it will soothe and brighten skin. Chamomile, famed for its anti-inflammatory and soothing properties. Nettle is anti-inflammatory and antioxidant, good for eczema patches. Lady’s Mantle rich in tannins and salicylic acid which help rejuvenate skin, Horsetail rich in silica, it helps regenerate tissues. Yarrow is good for rashes and skin irritations. Oils – Argan Oil with Vitamins A & E, great for hydrating and softening fine lines. Thistle (Safflower) Oil is an excellent source of essential fatty acids Omega 3 & 6. Avocado Oil is one of the richest sources of monounsaturated fatty acids, good for hydrating and softening the skin. Macadamia Nut Oil has the perfect balance of Omega 3 and 6 fatty acids which assist with cell regeneration. Hemp Seed Oil is naturally skin calming and prevent moisture loss. Essential Oils – Relaxing Lavender is helpful in treating inflammatory skin conditions and helps improve scar tissue. Balancing Rose Geranium increases blood circulation and helps skin heal. ‘King of Oils’ Frankincense for cell health, wrinkles and positivity. How to Use: Apply onto clean, damp skin after shower or bath, in place of a body lotion. Also great as a dry leg oil or poured into a bath for a luxurious bath soak.